Comfort and style in this unique sandals for a unique summer. Mediterranean style and trendy colours. These shoes are the traditional Albarcas from Levante, Southeastern region of Spain. The abarcas were the rustic shoes used in Levante to work in the fields. 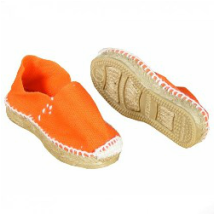 They are handmade in Spain with soles of tire and reused cowhide, in Suede or Cotton lining and cotton laces. 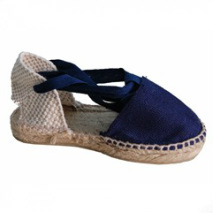 Yellow, Fucshia, Red, Green, French blue, Purple, Navy blue and Brown colours are crafted in soft suede. Silver and Gold colours are crafted in natural cotton. Size guide: We reccommend to go down a size because these albarcas run big.